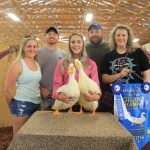 Sarah Fink won the grand champion market duck honors with her 15.1-pound pen. 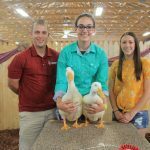 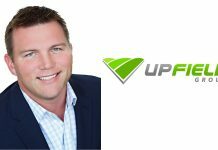 Chesapeake Energy purchased the ducks for $400. Pictured are Gwen Gill, Seth Wehr, Fink, Mike Delauder and LeeAnna Thompson. 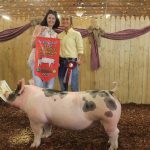 Buyer: This Little Pig Inc.
Grayden Sproull won the market hog show of showman and the grand champion market hog, weighing 263 pounds. D&J Sales & Service, represented by Tina, Jonelle and Jon Jones, purchased the hog for $7/pound. 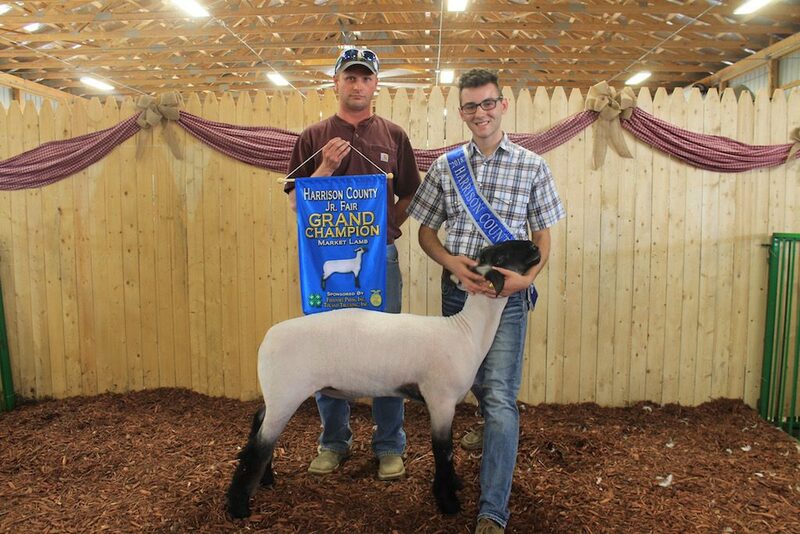 Dillon Dodds showed the grand champion market lamb, weighing 137 pounds. 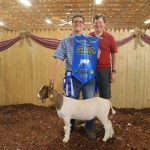 Sam Murral with Murral Excavating purchased the lamb for $4/pound. 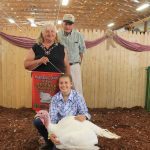 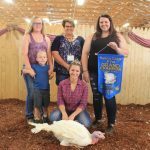 Harrison County Fair Queen Stephanie Birney showed the grand champion market turkey, weighing 39.6 pounds. 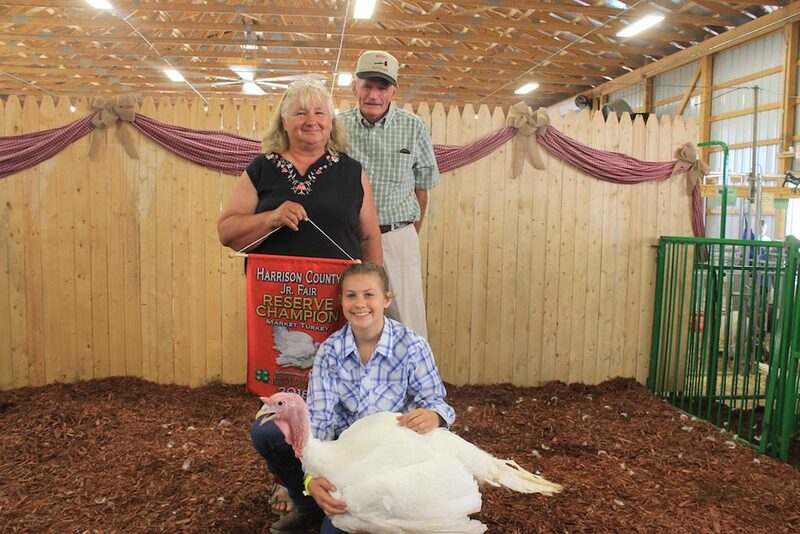 D&J Sales and Service purchased the turkey for $1,700. 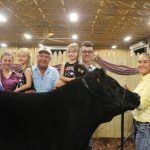 Pictured are Cheyenne, Tina and Joelle Jones and (front row) Lucas Wood and Birney. 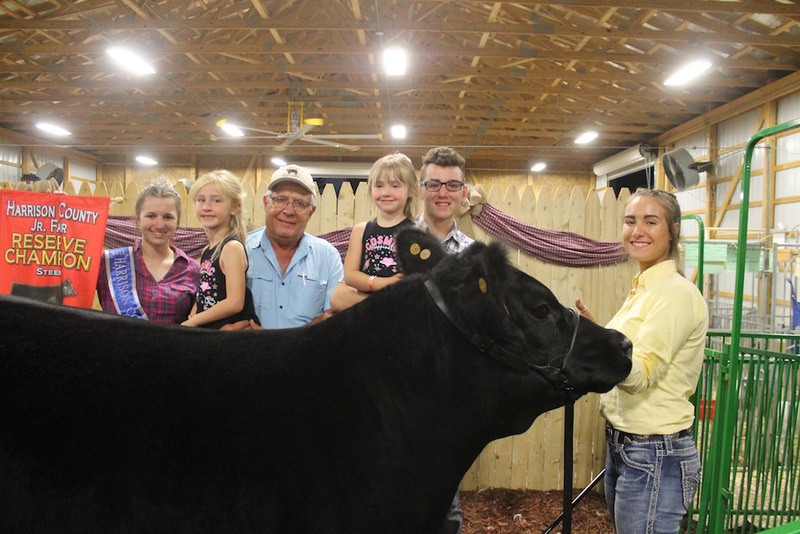 Jenna Young showed the 1,406-pound grand champion market steer. 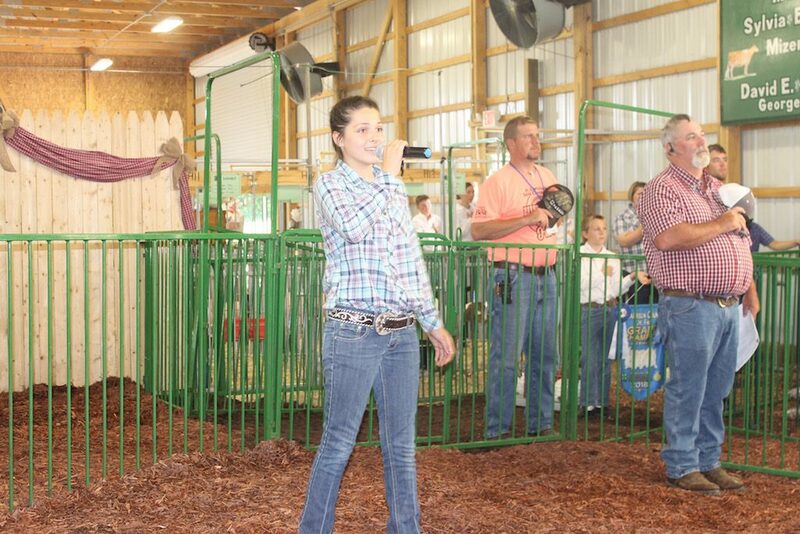 Paris Washington Insurance represented by Hunter Palmer, purchased the steer for $5/pound. 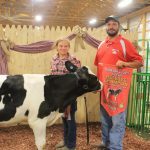 Dakota Russell showed the grand champion dairy beef feeder, weighing 559 pounds. 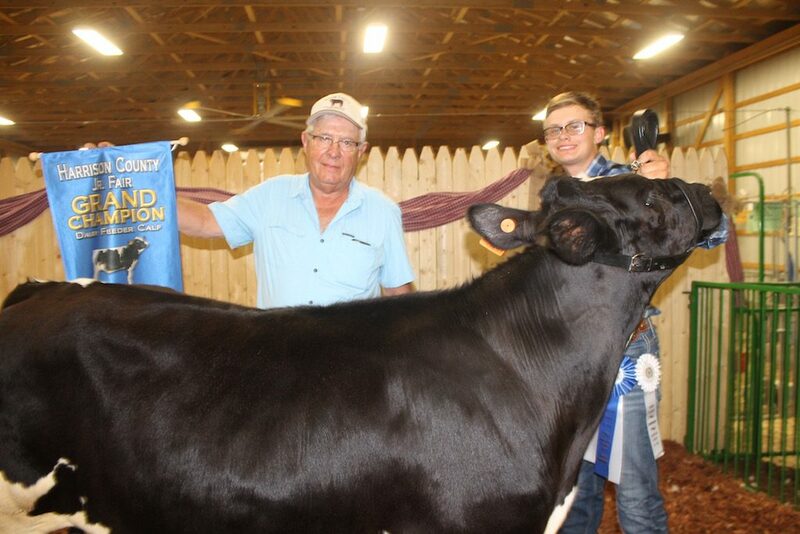 Carrollton Livestock, represented Rick Young, purchased the calf for $5/pound. 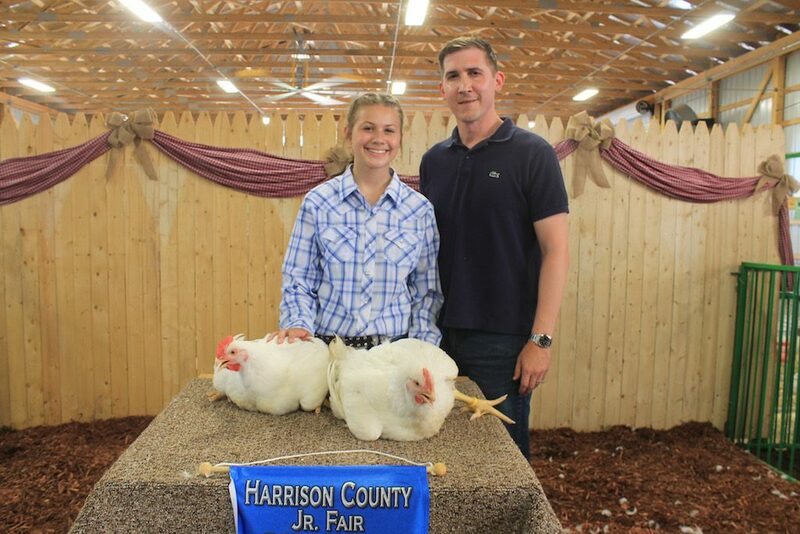 dfjkslAdrianna Blazeski showed the grand champion market chicken pen, weighing 18.48 pounds. 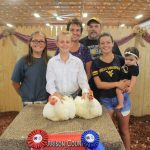 Blazeski also won the outstanding market chicken exhibitor and intermediate showmanship. 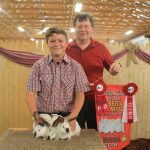 Attorney Owen and Dr. Porsche Beetham purchased the pen for $1,200. 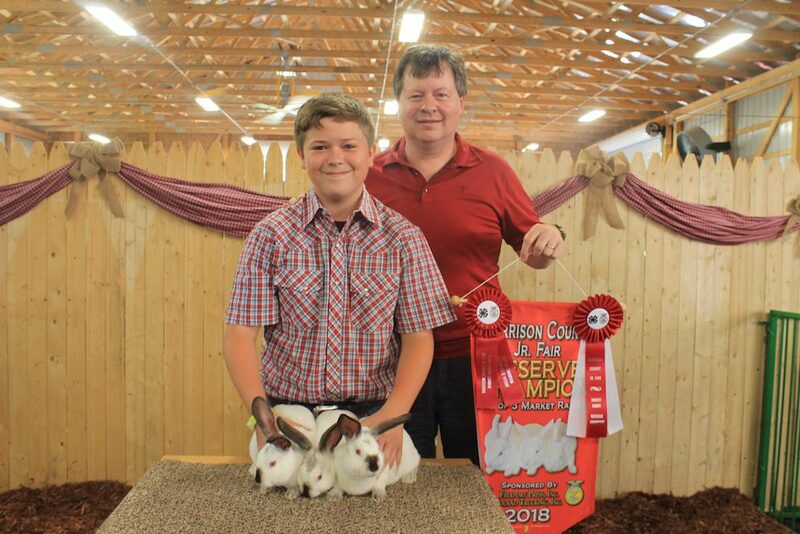 Pictured are Blazeski and Owen. 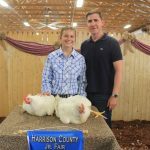 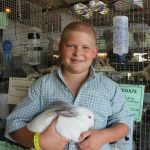 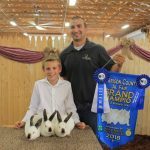 4-H'er Lauren Ferguson sang the Nation Anthem before the sale began at the Harrison County Fair June 29 at 1 p.m.
Brodie Yeager donated the proceeds from his market rabbit pen to the Make a Wish Foundation in memory of his friend Drew Palmer who died of cancer before he was old enough to show at the fair. 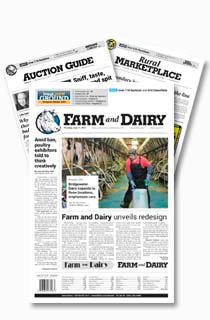 Randall L. Gallagher Memorials was the high bidder at $2,000. 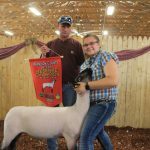 D&J Sales & Service and Border Patrol Construction each donated an additional $2,000, bringining the donation to $6,000. 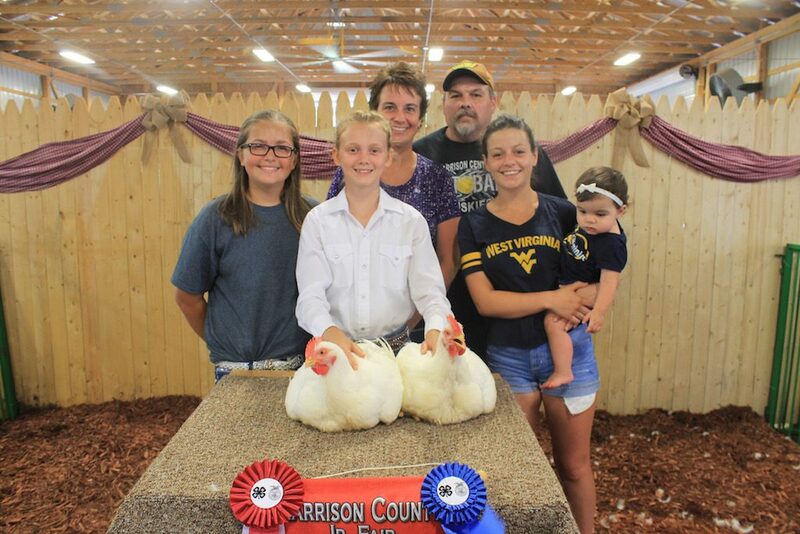 The reserve pen of market chickens was shown by Katlynn Wease and purchased in memory of Larry Dickerson, represented by Lauren, Tammy, Kevin Best, Hannah Edwards and Ameila Moore. 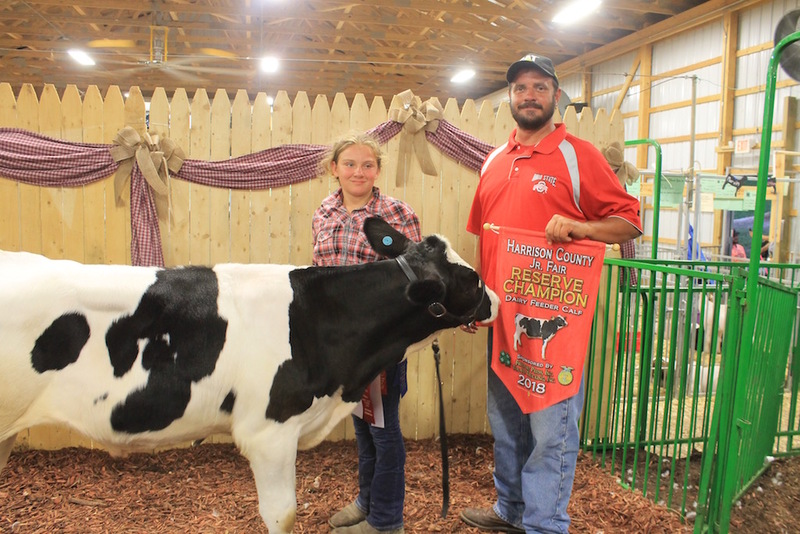 Jewelene Cunningham showed the reserve champion dairy beef feeder. 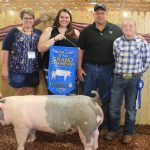 This Little Pig Inc., represented by Jeff Bardall, purchased the 404-pound calf for $2/pound. 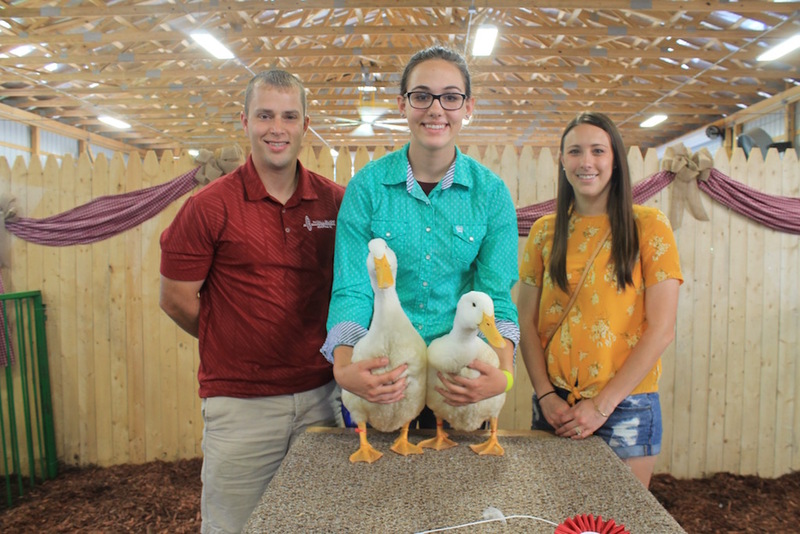 Katherine Eberhart showed the reserve champion market duck pen. 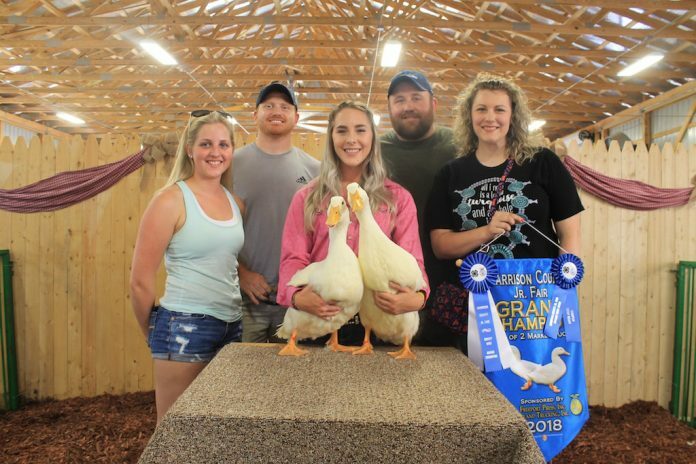 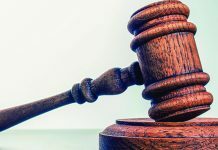 The pen, weighing 13.76 pounds, was purchased by Justin and Rebecca Gallagher for Randall L. Gallagher Memorials Inc. for $475. 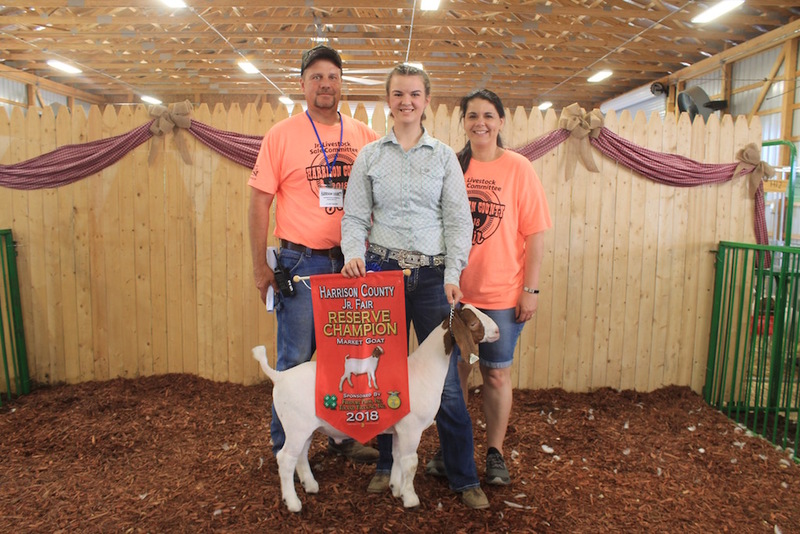 The reserve champion market goat, weighing 63 pounds, was shown by Addie Edwards and purchased by Cajjbarr Farms, represented by Clint and Alice Barr. 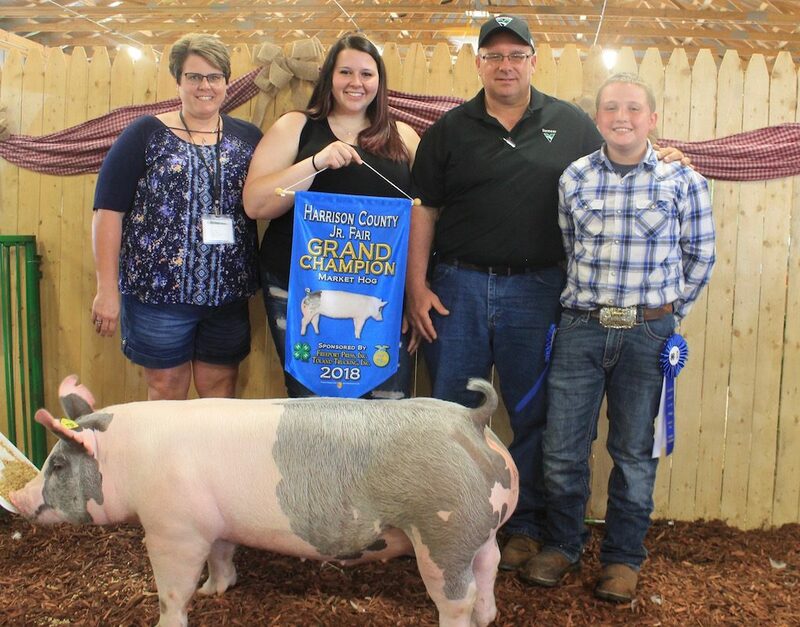 Madison Young showed the reserve champion market hog. 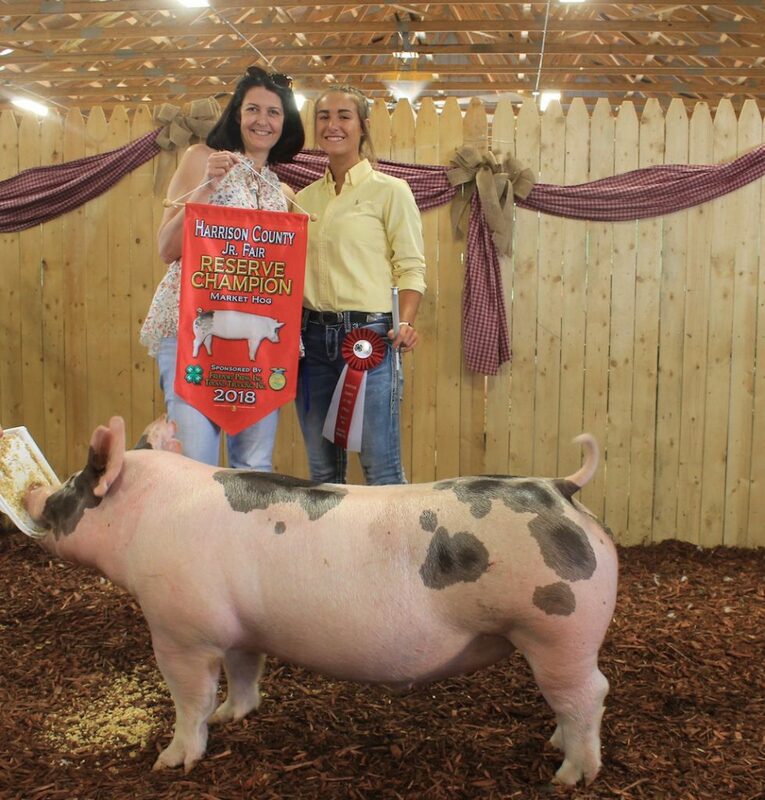 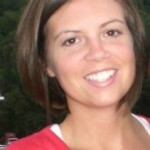 Liggett Enterprises, represented by Emily Wagner, purchased the 268-pound hog for $15/pound. 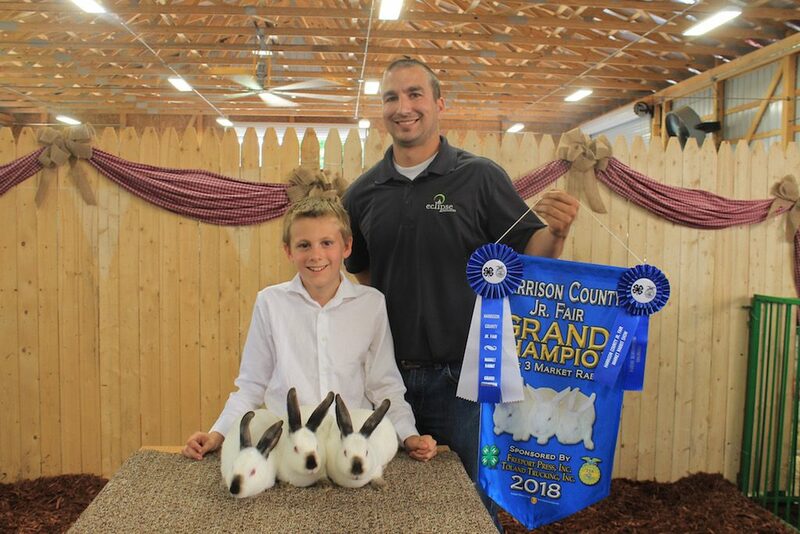 The reserve champion market rabbit pen was 11.90 pounds and shown by Taylor Cope. 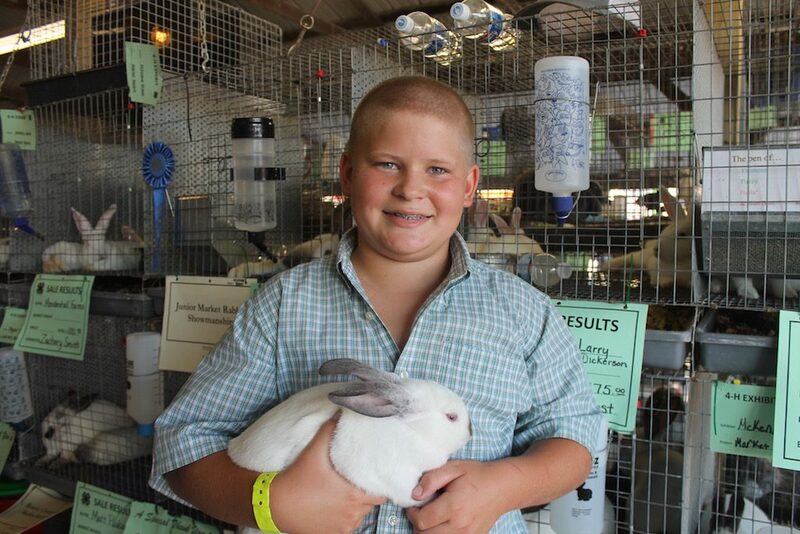 Judge Matt Puskarich was the high bidder at $600. 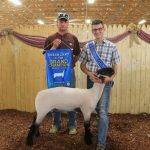 Jalyn Jones won the reserve champion market lamb honors with his 143-pound lamb. 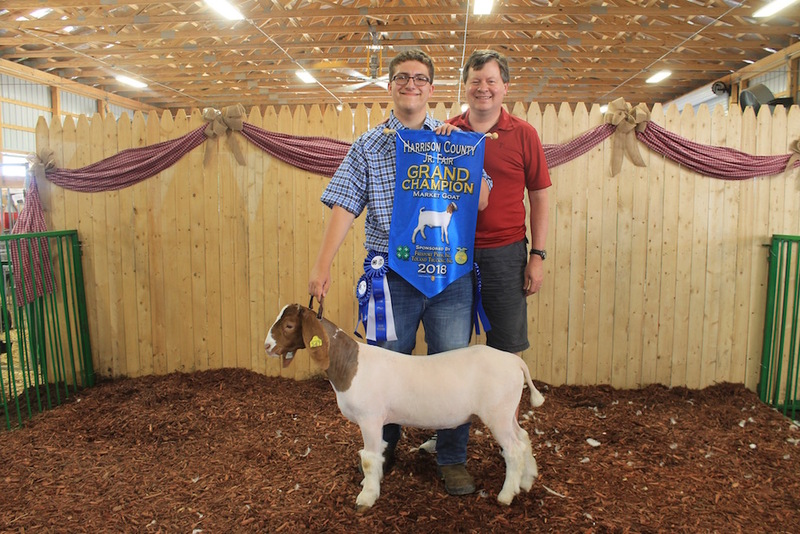 Sam Murral with Murral Excavating purchased the lamb for $11/pound. 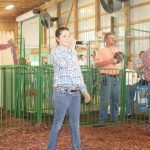 Madison Young showed the reserve champion market steer, weighing 1,322 pounds. 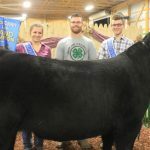 Capstone Holding Company, represented by Madison, Rick and Avery Young, purchased the steer for $5/pound. 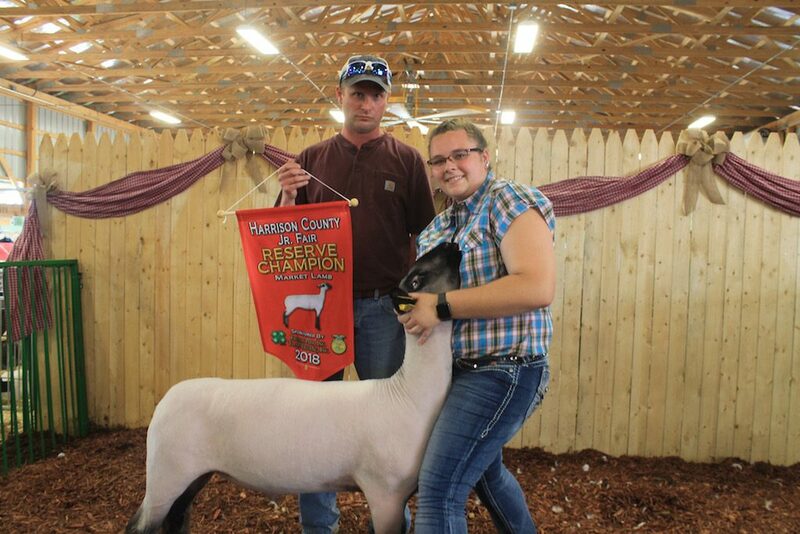 Also pictured are Harrison County royalty Stephanie Birney and Dillan Dodds. 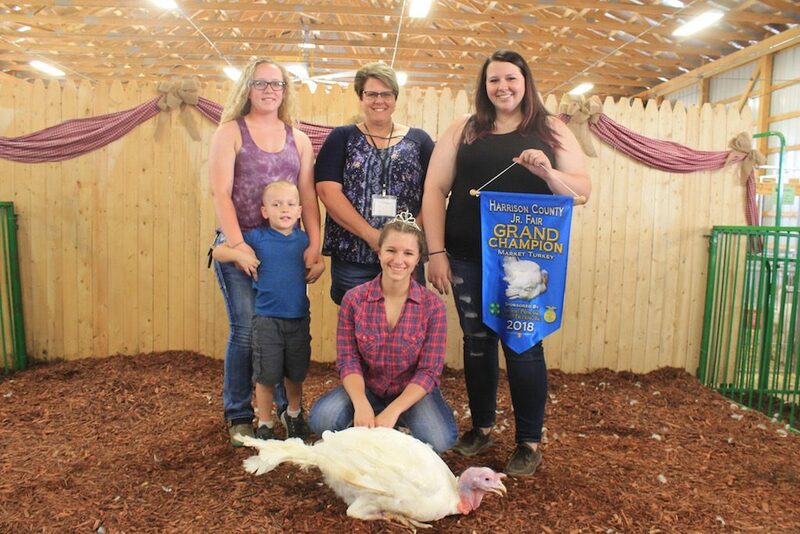 Adrianna Blazeski won the reserve champion market turkey honors and also the market turkey show of showman. 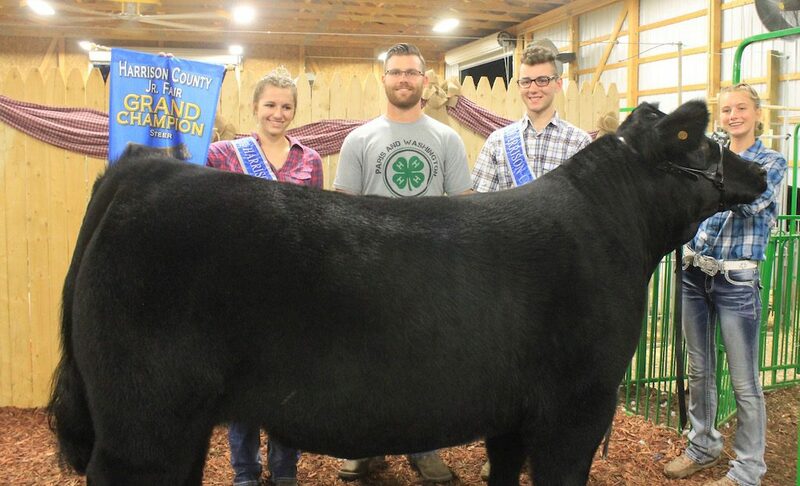 Oszust Excavating purchased the 34.40 bird for $1,000, represented by Chris Rinkes and John Birney. 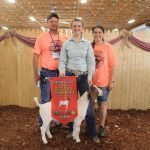 Dakota Russell showed the grand champion dairy beef feeder, weighing 559 pounds. 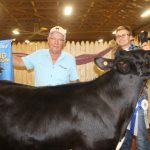 Carrollton Livestock Auction, represented by Rick Young, purchased the calf for $5/pound.